WIN #23: Win a WOW TOYS Birthday Countdown Calendar! Win a WOW Toys Birthday Countdown Calendar worth £14.99! WOW Toys have been producing toys with true 'WOW' appeal since 1997. All their toys are designed in the UK with a vision of creating great quality toys that are not reliant on batteries! Thanks to the toys clever designs, they whizz along with mechanical 'push and go' motors and trigger-pull propellers. 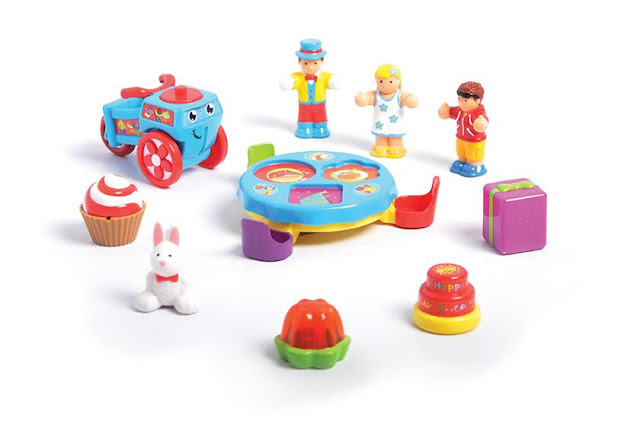 Many toys contain special features such as secret compartments and 'magic' buttons teaching children exciting cause and effect principles through fun and interactive play. WOW Toys contain; No PVC, No Toxic Paint, and No small parts making their toys super safe for 1-5 year old boys and girls. WOW Toys are safe to be nibbled, chewed, hugged and loved. 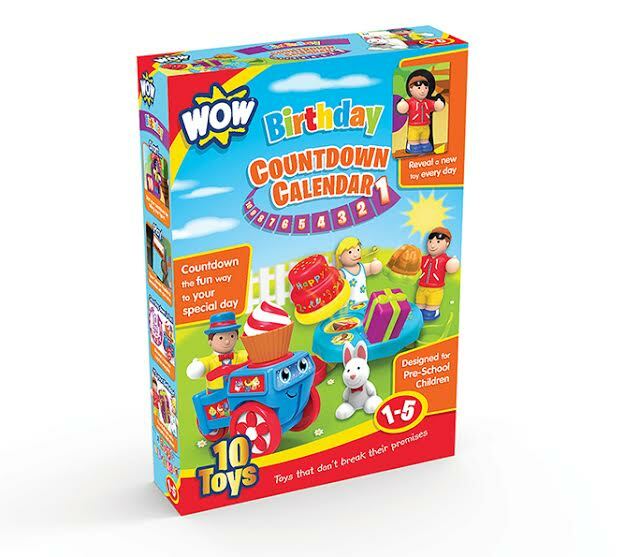 WOW Toys introduces the Birthday Countdown Calendar with 10 toys. 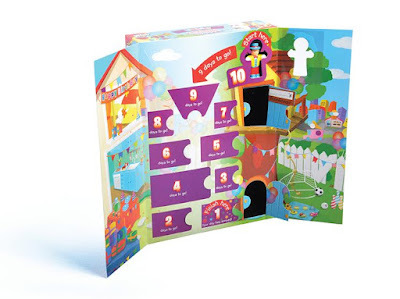 Pre-schoolers can now countdown to their birthday with this exciting and educational Countdown Calendar from WOW Toys. Children can get more excited to reach their special day by receiving a new toy each day in the 10 day build up, finally creating their very own play set ready to play with on their special day. The calendar also has an innovative inbuilt slide for the figures, a push-along ice cream trike, a fun-filled activity booklet and a spinning, shape sorting party table. Specially designed for pre-school years and suitable for children aged 1-5. No batteries required! • Countdown to your special day with a new toy surprise each day.• Place the figures in the tree house slide and watch them whizz out the bottom. • Personalise your calendar with your little one's name, photograph and special date. • Learn to shape sort with the spinning, shape sorting party table. 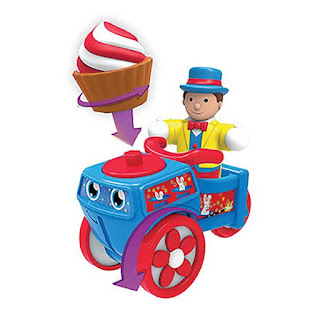 • Push the trike along and watch the ice cream spin as it goes. Please note: You must at least follow/like Unique Young Mum and WOW Toys on at least one social media platform! To find out more about WOW Toys, and to view their full range of toys, check out the official website here.